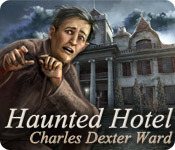 Haunted Hotel: Charles Dexter Ward is rated 3.9 out of 5 by 62. Rated 5 out of 5 by Majestyx12 from Made by Special bit, not Elephant I think it's from June 2012. Being old, it has the old standards. No reset on puzzles, Slow skip and hint. No map, Full screen only. Lots of moving from place to place. I have Windows 10 PC so I had to put the plus items on my tool bar on top of each other to combine them. It had lots of notes to read and very creepy sounds. The story which is mystery horror just drew me in. I loved it. I knew what to do most times and hint will not lead you, but will say staight out what to do next. I have a good sense of direction and found my way around well. If you don't this may not be for you. More story than hops. I had one spot that froze and I ended the game and restarted and was able to play after that with no problem. Very interesting story and places. I was good with the gameplay. Rated 5 out of 5 by EzgiMelody from GREAT !! Really Like this one. Too Qualified. Great Story line. Thank You Big Fish. Rated 5 out of 5 by Chrysalis_New from Man was This Eerie and Simply Great! An older Haunted Hotel story based on a tale from the master, HP Lovecraft that thrilled me from the intro all the way through to the surprise ending. The combination of fabulous music and live photography totally made this one a winner and made up for the lack of a journal or map, which certainly would have made moving around a little slicker. All in all... grateful I found this one! Rated 5 out of 5 by cejene from Good Spooky Game Good adventure and good ending. Easy HOS. Even the puzzles were reasonably easy. No map but you really don’t need it. Enjoyed the graphics and the music went well with the game. Rated 5 out of 5 by Plientje from Disturbing, eery creepy mega-fun! I absolutely LOVED this game!! Has to be one of the creepiest games I ever played, seldom had such a great time with a game. This game absolutely enters my top 5! The storyline grabs you by the throat from the very beginning, with great cutscenes -partially real movies- outstanding voice-overs and unbelievably good music and sound-effects!! 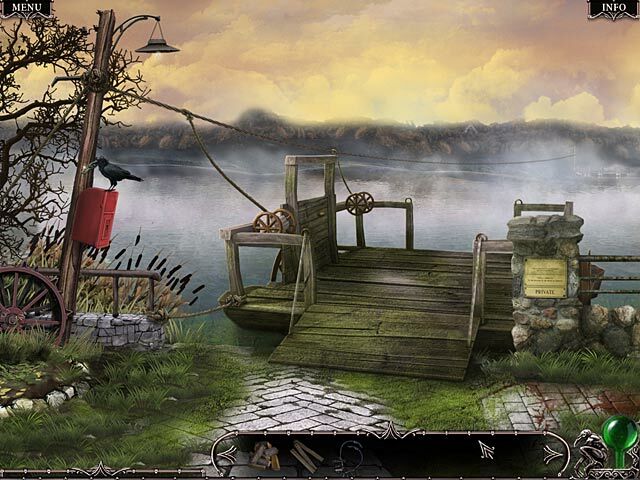 Great graphics, they also add to the creepy atmosphere, nice puzzles, and good HOS. The gameplay is smooth, you never mind to walk somewhere, because you are so engrossed in the game it feels completely natural to walk there. There are a whole of scenes, and without a map I got lost twice and had to go to the walkthrough. What made it more difficult (but also more fun!) was that here and there some shortcuts came up, and other ways got closed off. But, as said before, I enjoyed myself so much, I never cared. I really had a ball with this game, for about 4-5 hours and hope you will too. You won't be disappointed! Rated 5 out of 5 by mycatluna from Phenomenal-Best game I've played in well over a year This review is based on the CE version which I highly recommend purchasing. If you already have the SE, I recommend upgrading to the CE, if only for the bonus game play alone. There are also achievements in the CE version. Rarely do I ever believe that CE's are worth the money-but in this case, yes! I may be a bit biased as I am an H.P. Lovecraft fan and have read all of his writings, but that also gives me a unique perspective about the game itself. The developers did a fantastic job with the story of Charles Dexter Ward. If I were to base my review on the storyline alone, it would be 5 stars. The way in which the story is told is masterfully done. The journal entries that you locate along the way really help tell the story as do the well-placed cut-scenes along the way. Along with the 'diary entries', you will also come across letters, books, and correspondence which also contribute to the story. I found myself immediately taken in, and it was difficult to stop playing. This is a VERY long game so you get your money's worth. I consider myself an expert player and it took me about 8-9 hours to play, NOT including bonus content (if you decide to upgrade to the CE). Granted, I took my time exploring and read ALL of the journal entries, etc., but even taking that into account, the fastest of players will get several hours worth of game-play. As for the game play itself, it is heavy on the Adventure and lite on the HOS, which I prefer. 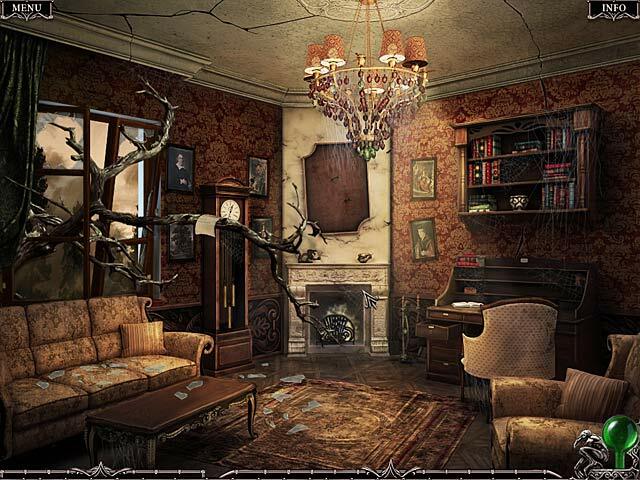 There are only a few hidden object scenes scattered throughout the game, perhaps 6-8 total (rough estimate). There are some puzzles to solve-none overly difficult and with time and patience, can easily be completed without the need for a walk-through. Most of the game consists of exploring numerous locations and picking up and utilizing various inventory objects along the way. The atmosphere is spooky. This game was designed with a more mature audience in mind, so be sure to take note of that before handing off to your kiddies. The subject matter deals with some pretty dark and sinister topics, but then, it wouldn't be H.P. Lovecraft if it didn't. The graphics are very well done and capture the mood of the story very well as does the environment sounds and the accompanying musical score, which is not constant, unobtrusive, and quite beautifully rendered. From every way I look at it, I cannot think of a single complaint about this game, which honestly NEVER happens. There is usually always something that bothers me, but not with this game. The time and effort put into developing this game is evident in all possible areas and I can only hope that other developers take note, and are up to the challenge of creating games as perfect and enjoyable as this one. Happy gaming! Rated 5 out of 5 by Lao_Zi from Very creepy... and very good Great game... really. Don't listen to bad reviewers. I wonder what's going on in the heads of people who give this game a bad review? Great storyline, gorgeous graphics, good music and sound... lots of interactive things to do, places to explore... Challenge might have been a bit better... I liked the puzzles and minigames, but they did not offer much of a challenge, maybe because I am already quite familiar with most of them. Not too many HOS - which is right up my alley - and easy to complete. There is no map, but you do not need one. Even with a lot of locations, you never have to do a lot of backtracking. Moreover, the game closes off areas where you don't have to be anymore. Thank you dev's. No notebook, but you can refer to a handy tasklist to help you on with the game. The hint button is bit of a spoiler: it tells you straight off what to do next. I would have preferred to get a usefull hint which gives me a chance to figure it out for myself. Anyway, all in all, this is a great game and I can only hope that the dev's have enough inspiration to keep on going. Rated 5 out of 5 by rosekaufmann from THINGS THAT GO BUMP IN THE NIGHT Storyline: Based on the novel and characters of the book written in 1927. Charles and his sister grew up in an orphanage and inherit a hotel in a desolate location from their Uncle Curwen. Charles went to check it out before telling his sister, but has been gone a week. The police aren’t interested, so she goes to find him. Only one taxi driver is willing to take her to the hotel, provided he can drop her off 1 mile from the hotel. The tale unfolds as pages and notes are found scattered throughout the game. As the hotel is haunted and locals stay away, there’s an underlying sinister feel to CDW, especially when thick black smoke keeps appearing out of nowhere, then abruptly seems to be blown away. While the HOS has large objects, the edges can be murky. But given the spooky nature of the story, that may have been intentional. Puzzles are tried and true, some with a nice twist. Difficulty ranges from easy to moderately difficult. 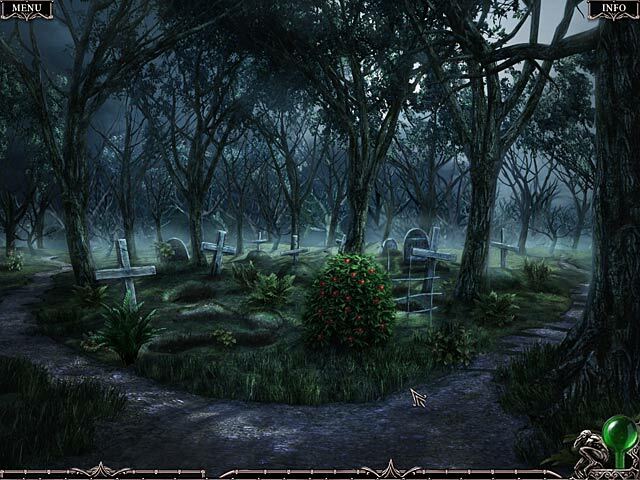 Graphics are outstanding at creating a spooky, gloomy atmosphere without being overbearing. And the sound effects and animation add to the creepiness, what with the creaking doors, the black clouds, and blood red words of warning. If there’s a CON to the game, it’s that you stare at a black screen between location changes. Overall, this is a brilliant adaptation of the novel. Wikipedia has a nice summary of the Charles Dexter Ward novel, which the developers have integrated nicely into this game. You will see that they put a lot of thought and creativity into the game to maintain the story’s integrity. It was a pleasure playing it. Although it's about a haunted hotel and its owner, it isn't too scary. Length would be 4-5 hours in casual mode if you aren't a rusher. Rated 5 out of 5 by aleta59 from Great game, but short Excellent storyline: you have to find your brother who is trapped in a haunted hotel. Great graphics and VOS. Clear, non-interactive HOS. Some seek and find. Good puzzles. Nice music. A little short, only 3.5 hours on casual play, but definitely worthwhile.